Do you find yourself needing extra pockets to carry things at your local fair or reenactment? Do you long for enhanced style but lack the room to add to your look? 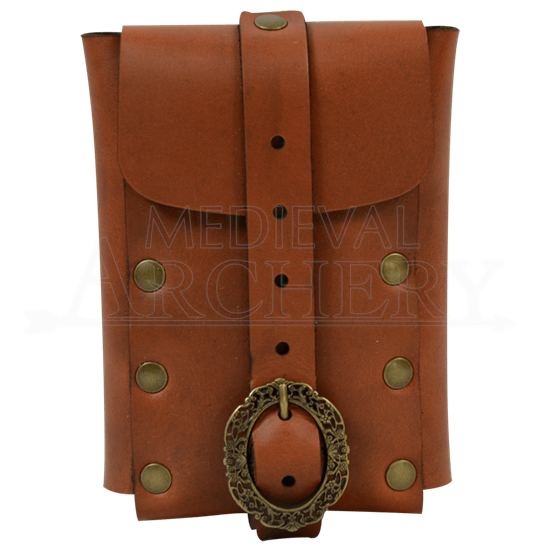 This Large Nobles Leather Belt Pouch is the cure to either of these annoying issues! Attached to your belt this pouch serves as an extra pocket that is perfect for carrying all sorts of amenities. From thieves tools to tiny trinkets down even to modern amenities, this pouch will hold it all with ease and security. Add in that it features an ornately styled buckle to keep it closed and this pouch becomes an awe-inspiring accent attached to your waist too! The pouch is made from high quality leather right here in the U.S.A and it features a leather loop on the back that will easily fit onto a 2.5 to 3-inch wide belt. 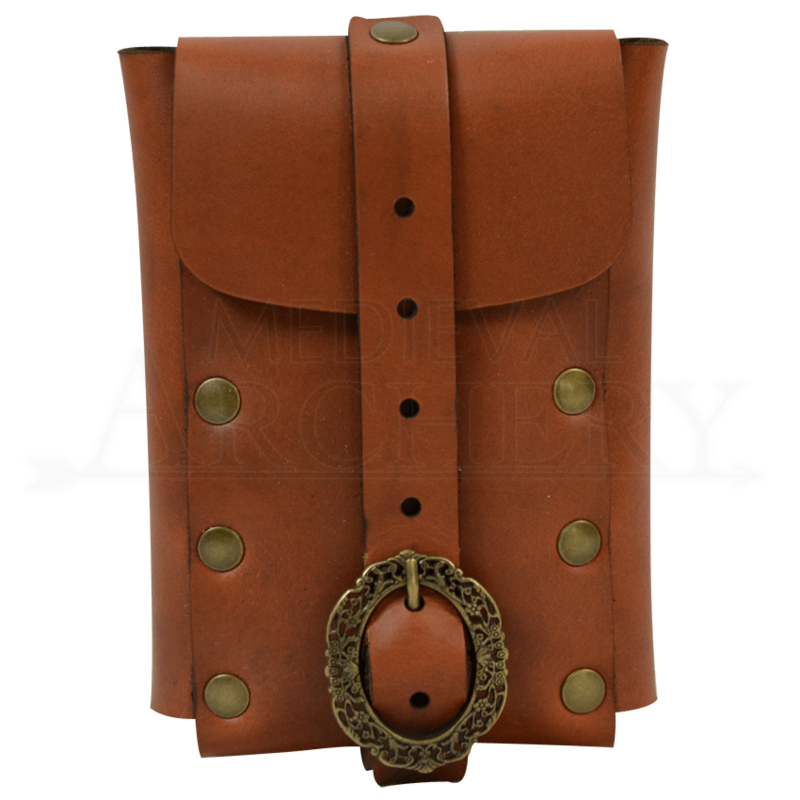 Extra space to carry things and greater style are two qualities that make this Large Nobles Leather Belt Pouch a one-two punch combo that is incredibly hard to beat! Pouch looked and felt like quality material and construction, however, it's advertised as a functional pouch but whoever designed it clearly didn't realize you need more length on the closing strap to be able to open and close it. There is only an inch or two of spare strap after the pin in the buckle and it makes it incredibly hard to open or close, without using two hands and considerable force. An extra 3 inches on the strap would fix this and make it easily opened or closed. If you had a leather awl, cotton thread, and a piece of scrap leather you could extend the strap, but then you ruin the look of it, and you shouldn't have to do modification to an item to meet it's basic (and only) usage. There is also excessive dye on the edging. It's nice that the edging isn't raw, but merely touching it left black smears on my hands. I had to wipe off as much as I could, then took a cotton ball soaked in rubbing alcohol to run along the edges to get as much excess dye off as possible.